This month’s mantra may be, “new year, new you,” but one thing’s for sure: Our love of timeless music will never change. 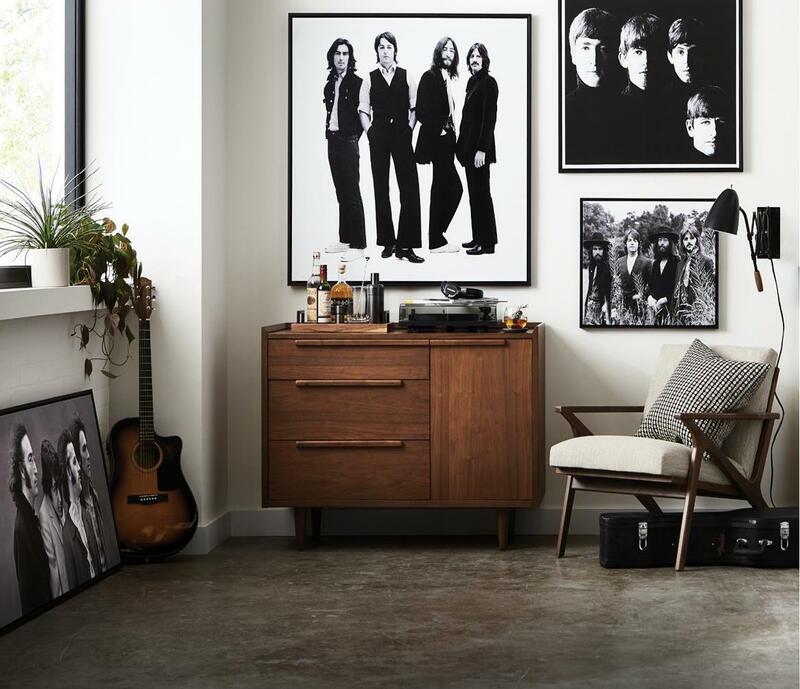 Which is why we’re so excited about Crate and Barrel’s newest collection, an exclusive line of artwork inspired by The Beatles. The collection offers 21 framed prints on archival-quality canvas, ranging in price from $199 to $650. Each print represents a different era of The Beatles history—making it the perfect purchase for any diehard music fans. A sure conversation starter, the mainly black-and-white collection brings the ’60s back in the best way. Whatever your style, you’re sure to find a print you love. Here are some of our favorites. You know when you find that perfect red? Well, this is it. For the eclectic person who loves a bit of color. Need we say more? Try displaying these faded colors against multiple wood tones for a vintage look that stuns. If you’re craving something more modern, the clean lines in this print make it an ideal candidate. Consider this for your little one’s nursery. You can never start their musical education too young. Hear Me Out: Are Rugs the New Wall Art?